To preface this blog, let me point out, yet again, that we think piracy is wrong. We’re not the only country looking for solutions and we’d have to be a brain-dead zombie to simply lurch along, ignoring the fate of those who went before. Let’s ask our elected representatives to learn from the experience of other jurisdictions and do that by examining the evidence; the actual, verified, empirical evidence of what works and what doesn’t. Rights holders have been in this tussle for years, the file sharing industry is now global, very sophisticated and totally mainstream. Techniques have evolved, simplified, monetised and diversified, over the last ten to fifteen years, and many options and alternative distribution models have been constructed. The content industry has not kept up. We know the pointlessness of simply blocking sites like The Pirate Bay, when they can change their address in minutes. The Internet has no gate that we can put a padlock on. There are many alternative ways for infringers to access their favourite movies and TV shows online. Instead of addressing the reasons why Australians illegally download movies and TV shows, the government instead seems determined to be seen to be ‘doing something’ to ISPs while defending, at all costs, the business model of the Hollywood movie houses. The clear hint from the Attorney General is that his plan includes government-mandated roadblocks for popular BitTorrent search engines like The Pirate Bay, even though these blocks are easy to overcome. But Pirate Bay is just one of many BitTorrent search engines on the Internet. We got 2.6 million results when we ran a Google search. If 2.6 million options are still not enough to find what you’re looking for, there are meta-search engines like TorrentBox and Torrentz, which are designed to compile the results from dozens of BitTorrent search engines. Sure, we can get a minute-by-minute list from the government of all the possible sites, and try and stop the plague of locusts with a can of fly spray, but who’s going to keep the list up to date, who’s going to police it, who’s going to pay? Search engines have been through their share of legal battles but they keep bouncing back. Even when a popular BitTorrent search engine does fall, others quickly take its place. Blocking The Pirate Bay and other high-profile BitTorrent search engines will do very little to stop Australians using BitTorrent – file sharing is a multi-headed Hydra that government filtering and legal threats will never slay. Maybe that’s all this is about. Being seen to do something. Anything. There’s no shortage of BitTorrent search engines but, even if people are wedded to The Pirate Bay, it’s simple to bypass whatever roadblocks the government puts in place. 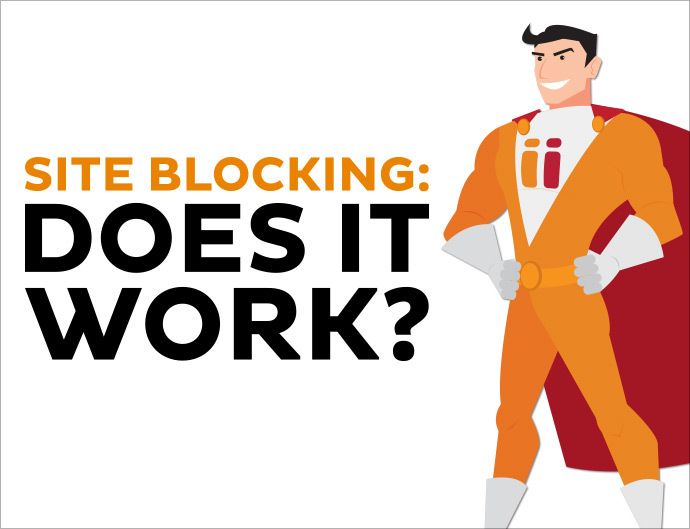 There are countless proxy services online – 35.7 million results from Google – which will let infringers bypass filtering to visit blocked websites. There are sites such as xRoxy and or Proxy.org, which catalogue the countless proxy services. Proxybay.info is dedicated just to tracking the dozens of Pirate Bay proxy services around the world, designed specifically to bypass government-imposed blocks on the popular site. Using a proxy service is child’s play, literally. School kids already use proxy services to beat school filtering and access Facebook and YouTube in the classroom. Other people use them at their work desk to outfox their IT department. It may not be right, and we don’t promote it, but let’s take whatever steps we take with our eyes wide open. Let’s not buy into the ‘futility-on-a-stick’ that Hollywood is peddling in Canberra. There’s even an “Unblock The Pirate Bay” extension for browsers like Chrome. Just like BitTorrent search engines, new proxy servers appear faster than they can be blocked (remember the 35.7 million result we got?) – catching them all is like trying to hold back the tide with a broom. The next step up, from a proxy server, is a Virtual Private Network to mask either legal or illegal activities. A VPN creates an encrypted tunnel across the Internet, popping out somewhere else in the world. This shielded ‘tunnel’ lets Internet users ensure their privacy and mask their activities from anyone, including law enforcement, their ISP and any government filters. Many business people use a VPN to create a secure connection back to the office, but they could just as easily use it to connect to a foreign VPN service and pop up in a country where The Pirate Bay isn’t blocked. VPN services are, once again, child’s play to use, just by installing the software and clicking a button to mask location and hide activities from prying eyes. The only way the government could stop this traffic would be to block all encrypted traffic, a Herculean task that even the most determined dictatorships struggle to enforce. Anonymity tools, such as the TOR network (68.7 million hits), might still come to the rescue – it’s often used by political activists, but the impact of VPN blocking, on legitimate business users should certainly dissuade the Australian government from thinking about prohibiting or blocking encrypted traffic and VPN sessions. It’s pretty clear that there’s no foolproof way to stop anyone visiting BitTorrent search engines, like The Pirate Bay. Once the torrent file pointing to the movie they want has been downloaded, Internet users don’t need to stay connected to the BitTorrent search engine. They simply load the tiny torrent file into their BitTorrent software of choice (38 million hits on Google). This perfectly legal software then scours the Internet looking for other people sharing that movie. There’s no central hosting point for the government to block, BitTorrent works by everyone sharing snippets of the file directly with each other. There are other anonymous BitTorrent proxy services and software that lets users encrypt their BitTorrent traffic, to disguise it so the ISP can’t block or throttle it. Really serious downloaders run their BitTorrent software in the cloud rather than on their computer (another 6.6 million results). There’s no possible way the government can block all the ways Australians can access The Pirate Bay and BitTorrent, and truth be told, BitTorrent is only the tip of the file-sharing iceberg. Apart from peer-to-peer networks, which the government is focusing on its “copyright crackdown”, there is a wealth of file-sharing sites where a wide array of media files can be found. Once again, they keep popping up faster than they can take them down. If Internet users still can’t find what they’re looking for, there’s always the vast Usenet newsgroup archives. By now you’re starting to get a feel for exactly how futile it would be for the government to block access to sites like The Pirate Bay, in an effort to curb piracy. Many people prefer to do the right thing, and they want good service at a reasonable price. They want to pay for the very desirable content. That’s why many Australians are prepared to sneak into US services like Netflix and hand over their money, even though they might find it all for free elsewhere. The government lumps these people in the same group as BitTorrent users. They want to stop Australians from bypassing geo-blocking, an artificial restraint on trade. Trade covered, ironically, by something called a ‘Free Trade Agreement’. A proxy server, Virtual Private Network or browser plugin like Hola makes it easy for Australians to sidestep geo-blocking and access US-only services like Netflix, Hulu and Amazon Prime. Some even accept Australian credit cards, while others let you pay via workarounds such as PayPal or a prepaid Visa or iTunes card. Another alternative for bypassing geo-blocking is for customers to use a DNS-based service such as Getflix or Unblock US. Just changing the DNS settings on your broadband router makes it easy to watch Netflix in Australia on computers, smartphones, tablets and game consoles, as well as some Smart TVs, Blu-ray players, and Google’s Chromecast. Easier still, Australians can bluff their way into the US iTunes store, where content is cheaper than in Australia and available sooner. There’s no geo-blocking so it’s simple to switch an Apple TV between the Australian and US iTunes stores, plus they will find Netflix and Hulu already installed and waiting. Once again, it’s all but impossible to police all the ways Australians access foreign content. Yet the government seems determined to pursue a simplistic and futile content blocking strategy rather than actually addressing the reasons why Australians look elsewhere for their entertainment. Years of ranting against piracy – while ignoring customer feedback – have got rights holders nowhere. Rather than declaring war on frustrated customers, perhaps we should declare war on the problems which have driven Australians to take their business elsewhere. And to the content control freaks, we say – start treating your customers as customers, not the enemy, and you might find things improve. Hear, hear! Couldn’t agree with you more Mr. Dalby. While I’m sure your arguments will fall on deaf ears in Canberra, it is great to see at least one major Australian ISP taking a stand against these futile and draconian measures to curb piracy. For the record, I do not pirate content anymore. I used to back when I was a student and didn’t have an income to speak of, but these days I pay for all the content I consume, be it DVDs, Blu-rays, Video Games etc. I also am one of the thousands of people in Australia who access Netflix via VPN. Apparently this makes me no better than someone who just outright takes content from the internet for free, despite the fact that I am paying (at the current exchange rate) approximately $9 AUD a month for the content I consume. What the Copyright industry needs to learn is that it’s impossible to completely stamp out piracy, but it IS possible to substantially reduce it by actually listening to customers and adapting to the new digital era. Kicking and screaming about how unfair piracy is and how many millions of dollars it is costing them is not going to solve the problem, nor is lobbying the government endlessly to intervene on their behalf. In fact, it is most likely going to exacerbate the issue as more and more consumers become disillusioned with the “Our way or the highway” mentality that companies such as Village and Foxtel (not to mention thousands of USA-based corporations) display. Big question i have not found an answer for anywhere. If a tv show is screened on free to air tv in the US why should i have to pay for it in Australia (foxtel)? Yes supposedly i break the copyright law by streaming free. There are shows i have enjoyed watching from years past eg Human target that never made it onto aussie tv until after the show was cancelled in the US. I would consider paying for content if it was ppv but i refuse point blank to pay for anything that is shown free. @stealthyness, This is a pretty stupid argument. Nothing is free. When something is screened free to air in the US it is shown with adverts. one thing missing from this discussion has to do with game of Thrones – I know many who have downloaded it for free but amazingly have gone out and bought the books – so didn’t someone get paid in that equation ? It appears to me that if many of those folks hadn’t seen the series they wouldn’t have bought the books. Hmmm! No, you’re fine once something has screened free to air. This has been to court already back in the days of VHS (People making copies for friends etc). The ruling was that free-to-air = fine to copy and distribute so long as you aren’t charging. I guess they didn’t forsee how the Internet and digital media would reduce the cost of distribution and sharing to effectively zero. @stealthyness, Television stations/networks pay for the right to broadcast content. If 7, 9 or TEN buy the content, you will see it for free, and if FOXTEL buy it, you pay. It’s simple really. If you live in the US and you watch the free to air programs you also watch the advertisements that are broadcast along with the program. The advertisers are who pays for US citizens to watch it for free. This is exactly the same as in Australia. If you want to watch a US free to air show in Australia then either you have to pay to watch it or you have to watch advertising to pay for it. I don’t have Foxtel so I do’t know if Foxtel double dips and shows adverts as well as charging you to watch something but then Foxtel is part owned by Rupert Murdoch… and part owned by Telstra. I agree with Mr Dalby. I am silly enough to have FOXTEL – repeat repeat repeat and now even adverts, adverts etc. Thank god I channel surf to find some content to view. I also have netflix and my kids have previously downloaded shows when they couldnt get it anywhere else or they missed the show on free to air TV. I am waiting to see how this piracy thing goes and what FOXTEL does because if they push the piracy thing rather than provide a better customer service then I will dump them in protest and stay with netflix or similar. Imagine this radical idea of broadcasting the content for free but inserting small advertisements into it to generate revenue. Now imagine that those ads are demographic targeted ala Google/Facebook. I’m with you. Prior to ten years ago in the UK, cable was already connected to homes. I know because our son in London had that connection, and he had that connection in Scotland 3 years prior to that. How can we be ”the greatest” , and ”the best” ,when we’re so far behind, and here I include third world countries, as regards internet connection, and it is more expensive in comparison. Why does it take so long for the Aussie to achieve anything, I ask., but I digress from the point of Piracy. I use the internet to gain either an item, programme or knowledge for the lowest cost I can find. Is that ”service” ?? It is no wonder Aussies search far and wide to gain an item or programme that is so exhorbitantly out of reach here. It is also unjustly unfair. It is also greed. The retailer attempting to gain what they can, and the customer attempting to save what they can. Maybe we’re all Pirates, in one form or another. How to overcome that – Sorry, I’ve no idea. Steve Dalby, I take my theoretical hat off to you sir. I do not support the move to attempt to ban the torrent sharing sites and even if such move happened, as you have said, it would be worked around eventually. The one thing you did not address – which i guess is an entirely separate issue – is the fact that even with an available online streaming service some users will not be able to stream in decent quality due to the limits the current internet infrastructure has. The government’s apparent solution to the infrastructure is to continue with the NBN FTTN rollout, unfortunately doing this may cost less, however it will be no good for the future and we will only have to upgrade it in a few years time. The entire system needs an overhaul – both the availability of content to Aus and the NBN rollout – and it is good to see that Australia’s Second Largest ISP – if you are counting Telstra – is not actually backing down from such a prominent issue. The reason why people pirate is not just because it’s free. It’s because you get SERVICE. A few years ago, you would buy a DVD and see 5 minutes of anti-piracy advertisements that obviously did not apply to you. Sometimes even other advertisements, of course none of it skippable. If you bought the pirated version from Asia, you would have the movie in it’s entity, plainly and simply. It would play immediately and you would be happy. Now we’ve entered the digital age, and it seems the content holders don’t want to learn from their mistakes a decade ago. You buy a movie online. For the high price we are paying (often higher than the physical release. I mean why? You’re not paying for shipping, or shelf space, nor a commision to the retail store. Anyway..), for a copy with NO resale value, and you expect some decent service. Instead, we’re provided with a bloated download, downloaded from a medium to slow speed content servers. On top of that, this copy is locked down with DRM and only certain devices can play it (want to play that movie you bought off iTunes on your Android? Too bad, buy it again!). This is all if you’re “lucky” enough that it’s available in your region. Compare again to piracy, where the file size has been reduced to the best of efficiency, and the download speeds are unrivaled. No DRM, no region restrictions. You can play it on any device you own. You can share it with a mate. Being free is just icing on the top. So the issue is not with the price, but with the SERVICE. I used to be a massive pirate of video games. Then Steam came along and provided a service *better* than piracy. It gave you all your games in one place. Easy updates, no risk of viruses and the chance to support the games you love. I didn’t stop pirating because Demonoid went down. I stopped because someone finally offered me some decent service. I agree with your comments regarding Service. I used to pirate video games. I hated using CD’s, to me mass hard drive storage and network availibility made sense when everyone was excited about burning CD’s and DVD’s and ZIP and JAZZ Drives where the rage. I now have over 450+ games purchases on Steam, with 500+ associated pieces of DLC looking at my profile. I’ve spent thousands on video games. I used to pirate audio books, because buying CD’s was outadated and stupid. Then Audible came along. Sure I have to use a US Postal Address to get access to US Only Published Books, but I’ve again, spent a lot of money on hundreds and hundreds of books that I’ve listened to across 4 different phones that I can re-downloaded and enjoy anytime I like. The best thing about all these digital content Services? They are bound to MY account. I cannot just give my friend the Blu-Ray and let him play my video game. I cannot just give him the Audiobook CD. He has to buy it Himself on my recommendation. In one blow you are killing of resale/second hand sales and loaning of products. You now have a huge increase in sales as this is the best way to get the content. Again, I use unblock-us DNS Services on my Router to get access to Amazon Prime/Hulu/Netflix on any mobile device or Console or Computer on my local network. There are still problems in price diescrepancy and issues of products not being availible in our regions at the same time sure – but the key concepts are there. Build us a Service and we WILL come, we will buy it, we will teach our parents and friends how to use it and by word of mouth you will make a tonne of money. Lock down the content, and we will teach them about VPN’s, Proxies, DNS Services and US/UK Streaming. Lock the content to one expensive Cable company? We’ll teach our parents and friends about Usenet and Torrents. Why do you think Australia wins at Game of Thrones Piracy? FOXTEL told us they where the only provider. No more iTunes, no other option. If not even China can firewall effectively how on earth do you think our ISP’s can be forced to do so? I concur Micheal. Give me what I want, don’t tell me what I can have. I used to pirate games all the time, now I buy what I want off steam when it is at a price I think is fair. Restricted access by Governments wont work because they are too stupid to implement it for starters and www business will be collateral damage as a result. @Michael, Absolutely, why the BEEP@#$% are they not fighting for our rights NOT to be ripped off as hard as they are for the corporations to protect their overpriced product? I now tend to “review” the content I am interested on line & then buy it when it has been out for a while & the price is fairer. So I then get the extras & a new level of enjoyment plus I am sure of the quality of the product I am purchasing. I hated paying top price when something first came out if the hype made me think would be EXCELLENT & then that feeling of being just flat out ripped off. Times have changed – Australian distributers, get your act together. What would be great if possible is if iiNet can encrypt all traffic that goes through its servers in an opt-in possible small monthly fee service so that user’s can be ensured that their privacy is being protected and then the money people would generally use towards overseas VPNs can be used to supporting an Australian company that cares about Australians. I totally agree with this article. I hope that my ISP, TPG Internet, agrees with it as well. I’m a baby boomer, my son taught how to Torrent files as I watch a lot of SF shows that will never come to Australian TV screens. I also use it to download movies I used to own in VHS, and have already paid for once. I refuse to feel guilty about either of the above. I agree heartily with both the article and the person above who said if there was a service in Australia to provide this content I would gladly pay my (eg) $9 per month to know I am getting virus-free, quality content. I only hope someone in Canberra is listening! There is so much content that I would like to watch that does not make it to the shores of Australia. I am forced to torrent this stuff, as there is no other reasonable avenue to watch the stuff I like. AND I cannot stand Australian TV anymore, there is more adverts that go on for so long I forget the plot of the film or show I am watching, and just switch off. AND Foxtel is now just as bad, they creaped the adverts in at the beginning, now if is just full blown adverts on every channel. We do not have access to reasonable priced media, we are a Golden Market for the world to make a bonus profit on. All shows around the world tend to come to Australia last, after being on free to air in their respective countries and get shown on Foxtel forcing us to either pay for Foxtel (and adverts) or download. I am sorry but until Australia gets its act together, which it wont (NBN) I cannot see any other avenue to watch the stuff I want, and the general media without interruption by downloading. And I too do not feel guilty, I feel it is enforced on us. And if iinet pushes this like they appear to be doing I will be finding a new ISP. Setting up my proxy and VPN and continue as normal. Thank you for listing all the millions of way I can download and how to bypass government-imposed restrictions in the future. As discussed in the blog above, the fact it is just as easy as we say to find a plethora of ways around the proposed measures of blocking access to these sites goes to show that our continued calls for readily available content through official means is the best solution to giving everyone what they want in terms of entertainment. We hope to see many more people continue to call for this over the likely ineffective methods under consideration. You can check out more about what you can do to help take a stand on this in another one of Steve’s recent blog posts here. They would have to completely regress the Copyright Act if they want to enforce geographical market segmentation (again) – as currently it explicitly states you can circumvent all geo-blocks (region locks) for audio and video… amusingly you are not allowed to bypass them for e-books or sheet music! Digital content requires server infrastructure. IT and technical support for all the services and they are lazy to implement it. It also comes down to what a country finds acceptable for their citizens to watch/play thats where the real problem is, we all have different cultures and get offended by certain content that is available publicly. Yes don’t watch it is what your thinking…however I find myself watching smoking ads in a youtube video of something that offends me cause my mom smokes and it created a problem in our lives and I cant do anything about these stupid smoking ads cause they do nothing and they the people who control decide what we watch…and how we watch it…Its a big political mess, because “they” who control what we watch also decide what your meant to watch. So the people who control content, eg copyright owners, the government need to work together to provide a service instead of restricting our freedom to decide what we watch/play and where we watch/play it. You have drawn a very long bow by saying that a google search result of 2.6 million implies there are 2.6 million options. The google search just matches all or even some of the works from the search. Your misrepresentation in this area weakens the potentially valid arguments you propose elsewhere. Don’t be so puerile. The moguls claim they are losing billions of dollars as a result of piracy. Their calculations are ALWAYS based on their assessment of the number of copies downloaded. – 90% of “illegal” downloaders would not buy their content if they could not get it for “free”, so the moguls have lost very little as a result of the downloads. – if they (the moguls and content providers) released their content at the same time in all countries (e.g. Game of Thrones) and at a half-reasonable price, then the vast majority of the piracy would stop. – a huge number of downloaders like quality and download to try before they buy the original product. Wake up Libs, mates are great but it is so damn obvious all you are doing is looking after your wealthy mates, just in case they are down to their last 10 million gouged dollars. Think bots and conduit adware malware are a far bigger problem. Truly awesome to see such sanity in such a large company. Am glad I’m with you. Truly awesome to see such enlightenment in such a large company. Am glad I’m a customer. Well, media content is one thing. Software is also a significant issue. We are forced to pay more than double the US price for engineering software. No, it has NOTHING to do with support. Support is via a paid agreement with the reseller and not the rights holder. When the major software vendors were brought before a parliamentary committee and asked to explain the difference, they boldly said they “charged what the market would bear”. We’ve had the same thing with iTunes where purchases in Australia cost 30% more than they do in the US. Mind you, this is even for Australian developed Apps! Thanks, this is why I use iiNet now and for the future. Great job guys. RE I only hope someone in Canberra is listening! Well the only way they will listen is for ALL and every iiNet user to send a polite e-mail to the PM the AG and your local federal member and senators. This can be done at the Australian government web site. Be sure to tick the boxes to get a written reply. Good to hear a cogent argument on this topic. Keep up the good work. There is always a solution to every problem. I just make it into a game with our Government and I’m better at it than they are! I watch what ever I want to view from English and Germanic speaking countries. 1. The stand taken on Freedom! (that’s what it is) Censorship (if voted for, is tyranny of the majority). If Edicted by bureaucracy is tyranny. Stick to your argument/s iiNet! 3. The iiNet service is excellent! Notice Service is last!?!? Service is a by product of the commitment of the people running it! It doesn’t need to be first. It’s taken for granted. Such a good position to be in, from a customers perspective. By the way Hollywood… you wanna fix your pirating problem? Stop the leaking of content! Fix your own rubbish before blaming the kids for picking up the free lollies. I’m too old to waste time trying to learn all the bypass methods but get frustrated with price parity differences or even country trade restrictions with legal downloads. Its plain “not fair”. I… sigh! Not enough life left to rant. I find it reassuring to hear my ISP is talking like this. It is good to know that iinet and westnet are prepared to stand up for freedom of information and freedom of expression and against this Orwellian era of government control. Thankyou for providing a progressive realistic perspective on a deliberately divisive issue. Comprehensive, intelligent, well-informed and altogether great article, Steve. Makes me proud to be an iinet customer! How about everyone switch the TV off and stop watching these brain numbing shows. Tell them to shove it. You are getting any smarter sitting in front the idiot box. Most of the time I don’t worry about downloading things – it’s simpler for me to wait for things to be on special in the stores, because I like the idea of content creators being paid for their work (it’s an ideological thing). But there are times when its brought home to me very solidly that there are good reasons for pirating. For example: I purchased a copy of the Robert Downey Jnr/Jude Law “Sherlock Holmes” film a couple of years back (it was one of those “buy two get one free” things at Sanity – the other two things I picked up were the first two “Iron Man” movies). The film was distributed by Village Roadshow here in Australia, while the Iron Man films were distributed by Paramount. It was intriguing to look at the difference between the two DVD formats. The Iron Man films may have had some promos, but I wouldn’t know. I pressed the button to skip to the main menu on the controller, and it took me there so I could watch the movie. This was the case for both of them – no muss, no fuss, no threats and menaces from the Australian copyright protection people at the front. Actually, on later reflection, I don’t think either of them had any promos in there – clearly the people at Paramount realised their audience wasn’t interested in promotional material, so they just cut to the chase and gave them the stuff they wanted. Certainly I don’t think I’ve seen any promos in any of the times I’ve re-watched them. The Sherlock Holmes DVD was a different story. It started with the unskippable long form “you wouldn’t steal a car” public service blurb. Fair enough – it’s public service, there’s probably government regulations about it for Australian distribution firms. Then it continued on for FIFTEEN MINUTES of unskippable promos (as in: I couldn’t jump straight to the main menu; I couldn’t even fast-forward through them – which meant this DVD was lacking a feature present on video tape) for Z-grade romances before I could get to the main menu. As I remarked to my partner, it was the best possible explanation for why I’d even want to consider illegal downloads. I have watched the film exactly once. I’d love to watch it again, but I’m not willing to sit through fifteen minutes of “why you should have illegally downloaded this film” beforehand. I consider the money I spent on that DVD to be money wasted. These days I actually check the distributors before I buy a DVD or DVD set – if it’s Village Roadshow, I don’t bother. Should they actually manage to license something I care heavily enough about to want to watch, I’ll probably see about renting it from the nearest DVD hire place first. If it still comes with the two minute scolding and the fifteen minutes unskippable promos, welp, I’ll start looking up torrent sites (I’ll salve my conscience about paying the content creators with a donation to their union or something). As Michael points out – if what we’re paying for when we pay for things is essentially to have our intelligence insulted, to be scolded as though we’re disobedient children, and to be forced to pay again and again and again (in a myriad different ways) for the product we’ve purchased, it shouldn’t be surprising pirating becomes a reasonable option. How about everyone switch the TV off and stop watching these brain numbing shows. Tell them to shove it. You are not getting any smarter sitting in front the idiot box. Thank you for a well presented article. Ultimately it’s greed,manipulation and desire for control that causes the issue, not the technology or the people. Hollywood’s profits are up not down…. As for the Government… they are owned and paid for by the greedy…and filled with idiots! I think the comments above express it all..
“This blog is not a ‘how to’ session on copyright infringement” -Yes it is! Yes Police, My Uni lecturer (who worked as a public servant in the cyber crimes division) turned off their microphone when questioned if there was a piracy culture among the officers and public servants of the cyber crimes department. They mentioned that (as with most workplaces) there was a regular watercooler discussion and trade of the latest TV and films downloaded from the internet. I agree that people will be less likely to download illegally once Australia has a service that provides quality content at a fair price. Otherwise, we will continue to use the tips mentioned in this blog to instantly obtain everything ever made with click of a button for free. to cloud sites and paying average US15 per months to get contents. If there is a safe and better way I’ll be more than happy to switch. I am afraid this discussion goes completely over my head. The terms (some words and acronyms I have never come across), spelling, typos etc seem to indicate many are not educated enough to clearly come out with a argument for piracy. PIRACY IS STEALING. Simple as that. My wife bought once a series of DVDs from Bali. Some worked and some didn’t. Some we never even bothered to watch. People out there have worked hard, acting, directing and producing all thes films, reality shows (Yuck – most are anything but reality) and shows like ‘Grand Designs’ is a true reality show, not concocted but real life and something sensible comes out of it that give great satisfaction to people involved. The sooner the government sorts out what is legal and what is not then we can get on enjoying life and not be bugged by smart arses who think they are clever by bypassing the businesses, corporations and shop keepers who are trying to make an honest living. Is countries like China and North Korea able to block or by pass and get illegal material? I they can then good luck to them. Perhaps the populations in those countries are happy. Not that I agree with North Korea and what it stands for. Rather China is communist only in name. Their commercial activities are now spreading right across the globe. Trouble is that certain enterprising locals will see an opportunity and jump in. That includes PIRACY. Our government needs to block any attempt to bypass copywrite, patents and any internet material that breaks Australian law. Let’s get back to using our computers as a means of communication, entertainment and a work station. The Geeks, hackers and are a plaque on honest society. Unfortunately this shows the weak argument you make. I can download anything avaolable in the world from my loungeroom in a few minutes, even with the watered down NBN lite (FTTN). It may improve some internet speeds for some, but it is a clear measure by the government to limit our speeds, compared with FTTP. This is a clear strategy to comply with the wishes of Murdoch et al. Foxtel is expensive, the format rubbish, repetitive and a shadow of what other countries can receive. People will download from torrent sites because of how the service is received. Quickly, easily and at a good price point (free). Most of the things I have downloaded I would never have paid for due to either the poor quality, inflated pricing, delivery method or time delays – so the studios would never have seen a dollar from me anyway. In the US services like this are $10 per month subscriptions. Here, we have $100+ foxtel that you have to wade through hours of repetition and controlled programing to find show you might be interested in. If you want to limit piracy to its lowest possible levels, supply quality internet service (FTTP), and supply quality on demand services such as the rest of the workld does. you know, the places that don’t download illegally as much as we, the country with rubbish content providers, do. We are not asking for free content. We are asking for the same level of service that the rest of the developed world currently recieves. We will even pay a reasonable “Australia tax” on it. Until then, I will keep my US itunes account, Netflix and Hulu accounts open and torrent anything else I want to get quickly and easily at the same time the rest of the wolrd sees it. Michael, I was a video games’ retailer for several years after spending some years on the commercial side software development. I do understand the cost structures. The reality is that a fair retail price for new release games that currently cost A$90 to A$100 in the shops, is about A$40 to A$50. “Fair” meaning all concerned, developers, publishers, distributors and retailers, receiving a sensible return on their investment. THIS is one of the key issues. Retailing of games, television content and films is not about a sensible price, it is about gouging the next Bel Air mansion for the billionaires who pocket the majority of the outrageous returns, to the detriment of both the content creators and the consumer. imho (yes, an acronym = in my humble opinion). Didn’t stop iinet blocking my mail because it came thru a site manager that somehow got a bad name. Nobody else I know who was using this site manager was blocked – just me. I didn’t even have a web site in fact. I had been paying for a service I neither wanted nor needed. Had my domain manager redirect to the iinet mail address instead. As a baby boomer, the mystery to me is why the modern consumer has to have the product now. Sometimes the anticipation of waiting to see a movie heightens the enjoyment. But I guess we do live in a “me want now” era. I recently watched a report on this very subject on the 7.30 Report where one of the Foxtel moaned about piracy and the evils of streaming etc, yet even Australian Consumer Group Choice said Foxtel had a bad business model and revenue problems are their own fault. This neatly ties in with IInet’s great article about Australia having one of the lowest take up rates of pay TV in the world. I have become aFetch customer and couldn’t be happier, it is a much cheaper alternative to Foxtel, has some great programs and will only get better as time goes by. Like other contributors I don’t pirate. I purchase all my books via Amazon for my Kindle and have started using the Steam Platform for my games. I still purchase Blu Ray but have started to set up an Ultra Violet Library. I get very angry that big business try to decide for consumers where they will shop/pay simply because they haven’t keep up with the times, remember Gerry Harvey and his GST push? Keep up your excellent work iinet, I’m your customer for life. Something that I’ve noticed about heavy-handed restrictions, rather than reasonable service, is that it ‘trains’ otherwise honest people to become ‘pirates’. People who would happily have paid reasonable rates for timely content, and couldn’t really care less about proxies and VPN, etc, can quickly become experts in online evasion. Once you’ve worked it out it becomes the natural way to do it instead of the exception; and these skills can be put to many other uses. I’m not sure if this is a desirable outcome. People who create content need to recoup their expenses. I agree, region blocking is wrong, but so is The Pirate Bay. What needs to happen is content creators and highly successful ISP’s like iiNet working together. I’m a content creator. Just repeatedly telling he I’m wrong in your blogs helps no one. The question of piracy is a moral question. If you don’t like the price, you have the freedom not to buy it. Not liking the price (especially of a luxury like a game or a movie) does not justify getting it illegally. Having said that, I have great sympathy with iinet in this; iinet cannot be held liable to police users of the services iinet provide. We need proper internet policing by law enforcers. I do not have any sympathy for people stealing movies, software applications etc through piracy though. You deserve to be caught and punished similar to any other thief. If you don’t like the price, shop elsewhere. If you cannot afford something, stay without it. That’s basic morality 101. You have this backwards. I can afford all of the movies and the latest TV shows. I cannot get them quickly, easily and at a comparable price to the rest of the world. I therefore get them at a great price now instead, free. The facts show that Australia is one of the worst piracy nations per capita and we have the worst content providers. We also have one of the lowest take ups of pay TV; it is all linked. Studies show that those who pirate also spend far more money online than those who do not, so paying for things IS NOT THE ISSUE. I now no longer need to “pirate”, I happliy pay for US itunes, Netfilx and Hulu to receive the service I wish someone in this country would offer. Yes downloading is illegal, but I never felt bad about doing it as I was unable to receive a system that was available elsewhere. Now I can use this same system, I pay for it – albeit a fraction of the cost of foxtel for a far superior service. If the rest of the developed world gets a fresh loaf of bread for $1 and we are sold stale bread with delayed delivery for $10, do you not think that people will find other means to obtain it? If the options are ieelgally getting the fresh bread for free or paying the $10 for the inferior product, what do you think people will do? It is not a matter of choice. We do not have any choice, our content and delivery is dictated to us. This turns many people, who would never think of piracy if we could tap in to what is out there for the rest of the world, to learn the ways of torrent downloading. Sipmly, the thinking in your post is why we are at the situation we are. You, and the content providers, think we should all just be thankful for what we have and pay exhorbitant prices for substandard service. Rather than bring this service into line with the rest of the world, the idea is to better police the current system. Time and time again it is proven that you get far better results with the carrot than you do with the stick. Good to read a sensible addressing of and approach to this issue. Unfortunately Canberra is very much under the control of multinational corporations so sense and intelligence may be largely irrelevant in any outcome. All the ‘free trade agreements’ which our governments continue signing are mainly about legally promoting and extending the influence/control of the multinationals. And no government or large corporation likes/wants anything (eg the internet) which promotes the free spread of knowledge and information. So don’t hold your breath for any sensible response or legislation on this (or any associated issue). You’re up against very powerful groups. I would quite happily pay a small fee for service if there was a good service that didn’t try to ‘service’ me! I won’t even have anything to do with i-Tunes because it tries to hijack my preferred setup. As a Thronie I’d pay for each episode but no way will I pay stupid prices for other stuff I don’t want. I weep for Murdoch, the Music and Film Industry tycoons and their CEOs, but they must change and not try to bind us ineffectually through their mates in Canberra. Censorship is a tool of dictators. I lived in a military dictatorship and know exactly how it works. Blocking websites is a demagogue’s response for what it doesn’t understand and is incapable of dealing with. Here here…but please stop using “Canberra won’t listen” – it’s the Government, not Canberrans. I worry that we preach to the converted only with these articles in this type of a forum. Not suggesting iiNet stay silent, just wanting anyone who has watched a pirated copy of GoT to get on board. Some who knowingly watches a pirated copy (“oh, my son downloaded it for me”) understands the futility and wastefulness of what Govt is attempting here or the reasons why Hollywood persists with their angle rather than providing options to purchase content in the same format that is commonly pirated. Actually, no one understands that! I also think the public has a right to know the content of Abbott’s discussions with Murdoch when he was in the USA last month. If this topic wasn’t covered, I’ll go he. As the Prime Minister of this country, you don’t have the luxury of having dinner with powerful foreign men, with numerous financial interests in Australia, and tell the public it was a “private dinner”. I’m a student and I use sites to down load books that if I get from retailers will cost me an arm and a leg. I refuse to feel guilty for doing this as books and text books are a real rip off. I can’t afford to do it any other way. But be careful what you say, “The Internet has no gate that we can put a padlock on” could become true in the future, and that future can be coming sooner than we think. Just look at the recent Net Neutrality debacle in the US: and these changes can affect Internet users worldwide, as the US hosts a large portion of the Internet. I think that the piracy debate will be going on for some time. I recently opened some boxes that I hadn’t seen the insides of for 6 years, and found some old video tapes that I had kept, because of what I had recorded on them. I found Graham Kennedy’s funeral, a v8 supercar race featuring a much younger Marcos Ambrose, and a documentary that I had recorded on the now defunct Ovation channel, which was promoting a new duets album featuring a blend of Country music and Rhythm and Blues. I obviously thought it was worth keeping at the time, and now, looking for material for our Blues band, figured was worth another look. Having done so, I decided to try and buy the album …. and so I hooked onto iTunes, and couldn’t find it. A Google search sent me to the American iTunes store, because the album was not available to Australia, AND I can’t purchase from the US store if I live in Australia. Strangely enough, another song I was chasing a couple of weeks ago was only available from the Irish store. A subsequent Google search showed me that I CAN beat the system and bypass the iTunes requirements with a lengthy bit of computer wizardry. It seems that the restrictions are controlled by the record and video companies who decide WHERE they are prepared to make their product available. Is OUR money not good enough for them? And so, I am tempted to wonder how I can pirate a copy of what I want. Who really is creating the problem? It seems all of the providers and authorities have a real bee in their bonnet about anything to do with the internet, it offends them that it is so free – that the consumer, and ordinary people have reclaimed their power – instead of seeing how they can best serve people they seek to ‘police’ the freedoms. It goes much deeper than mere commercial concerns, there is an ideological war being waged. Politicians hate the internet because they cannot control it and their BS and cynical policies are being openly questioned – they speak of ‘protections’ but they are just plain scared of the free exchange of ideas, and the emerging discontent world wide with the current state of play. They will not rest until they find some way of closing off the internet and preventing the global spread of the message of freedom. One of the reasons I am glad I’m with iinet: their stance on piracy and ISPs. I have tried many of the options listed above as I too shake my head at how Hollywood et al, seem intent on flogging a dead horse by laying the blame at the feet of the user & ISP. I have spent thousands of dollars on records, cds, dvds & blurays but look at the environmental impact that has had. Now I can either use a VPN & access Hulu, pay a few dollars on youtube for a movie or get it for free. Also there are add-ons for browsers that allow you to capture a youtube video or a streamed TV show. One of my favourite sites is mp3mixx.com that has a great music collection & charges 15c a song without imposing itune limitations on how a file is used & saved. But nothing compares to the quantity & quality that bittorrent provides. Even better if you have the NBN with a large download limit. With speeds of around 5-6 mbps a 1gb files downloads in next to no time. The recent ‘cost efficiency’ review of ABC & SBS suggested that they set up a paywall to provide access to their vast libraries. If done for older TV & movies, from Australia & overseas & the content & charges are reasonable then I might use it. It comes down to content providers & govt accepting & embracing this new business paradigm. However as George Brandis wants to continue flogging this dead horse then I only hope the senate blocks any such moves on ISP & piracy. It should be noted the reason for the IP block in Australia was to help local distributors support local production. So I Think it would be fair to say it stopped working for goal years ago as well. Most good local content now is being alternatively financed lifting the block would give the artists more direct access to the customers. We are throwing good taxpayer money at a problem that treats us like criminals robes us of culture and transfers our harded earn to the rich with no return on investment. From someone who was playing with the internet before it became the internet, to break the censorship I agree is mere child’s play. I don’t watch commercial TV. I buy movies. It is my entertainment allocation for the week. If I was to take my wife to the movies I would expect to pay around the $100 for the privilege. If I put that towards buying movies, The same applies to paying for pay TV (complete with ads). I DO download the occasional movie to test weather it is worthy of a purchase to be added to my collection and am very frustrated at the lack of parity in a “free trade” environment between Australia and the rest of the world when it comes to what movies are available in Australia and the zoning system put in place as an attempt to control what we can and cannot watch. I also agree with the comments on the (crap) broadband available in Australia. I live in a major city, (Sydney) and my options for internet are ADSL1 or a 20 gig 4G service which I routinely blow. This service is the largest 4G service at a “reasonable” price around. Everything else is a waste of time. Great article. I’m a happy Netflix subscriber using a geo-blocker – happy to pay for quality ad-free content so long as pricing is fair. Great article. And you didn’t even touch on the REAL issue that giving the government the power to BLOCK websites at will, would also give them the power to censor information including the news we see. This isn’t just about movies and TV shows. It’s actually much more than we dare to think. Keep Governments (everywhere) out of our lives ! I am not sure who is doing this: When trying to connect perfectly legall official Web site the carrier drops out. This happens for a number of independent and Gov. TV channels. I do not thing that iiNet is responsible for it, as they do not own exchange facilities nor last mile connections. Traffic goes via Telstra facilities … so they do filtering and monitoring. Also is so intrusive that I can not do “on line banking” connection times out so bad that bank freezes access for at least 3 hrs. and I have to go to public internet access. Seriously …. f#$%@^ the Telstra and all these Baboons in Parliment. I don’t know why you keep on trying to fight against the powers to be and old model industry’s. You only have to look at the telecommunication industry here in OZ to see what and old business model we have. Crappy speeds, data caps and legislation protecting the industry from innovation and the community to do it them selves. Just let them do what they want it will not affect the savvy and the masses in the end will complain/fight back. When the masses feel governments have gone to far that’s when they will react and push for change. In reality the NBN should have been a layer three network using IPv6. We wouldn’t need telco’s in their current form allowing as just to get on with it. The reason the attorney general is doing this is because it is a requirement of the TPP that any country involved must be doing something about piracy. Same reason the prime minister has ordered the states to sell off assets,as no state owned/ran operations can be included in the TPP (Trans Pacific Partnership). There are many more issues with this free trade agreement, but there are two. Great article . The DNS option is better than using a VPN regarding content streaming because you can achieve direct connection with the media station ex. Netflix and avoid the “middle-man”. Personally, I am using UnoTelly which is similar to Getflix. Perhaps you should check UnoTelly as well if you haven’t done so.